The phrase ‘Trainspotting Hotel’ probably doesn’t conjure visions of a cozy, comfortable and safe place to lay your head at night, but this hotel gets its nickname from its location overlooking rail tracks rather than anything relating to the heroin-charged cult classic film. 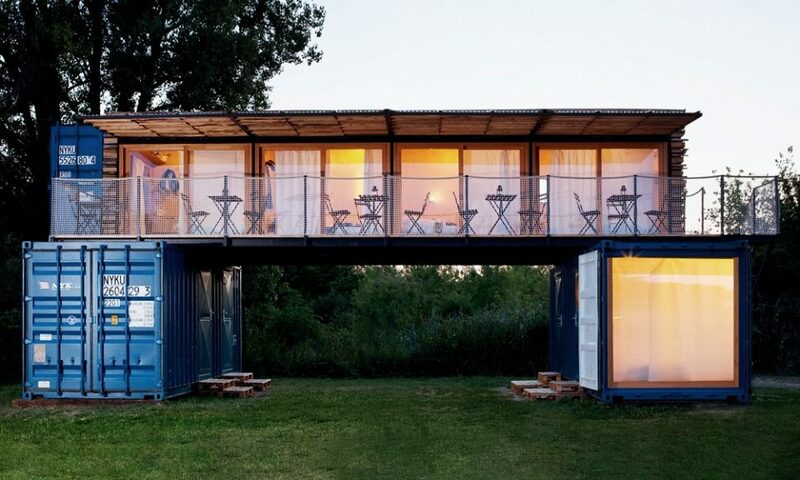 Obviously, that’s a good thing for guests who want to enjoy a peaceful getaway on the Elbe River near the town of Litomerice, Czech Republic at this unusual pop-up structure by Artikul Architects. 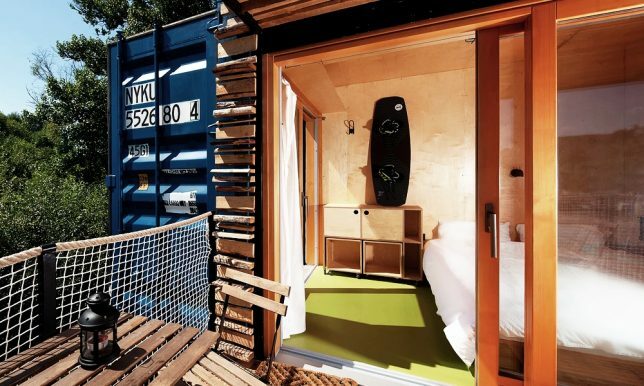 The hotel is comprised of just three shipping containers, with one forty-foot crate stacked atop two twenty-foot crates in a perpendicular arrangement to create a covered space underneath. 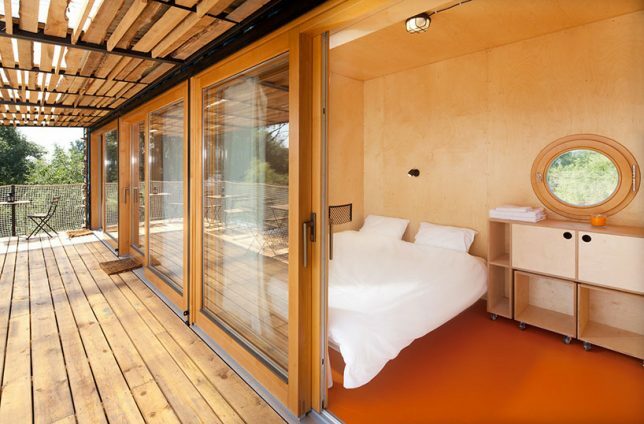 The two ground-floor containers house the bathrooms, storage and one of the guest rooms, while four more guest accommodations are set into the top layer. 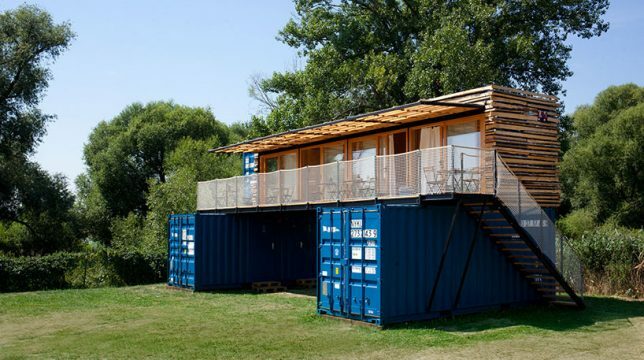 The client commissioned Artikul to produce a modular design that can be easily taken apart and moved when desired, and would have a light footprint on the land. 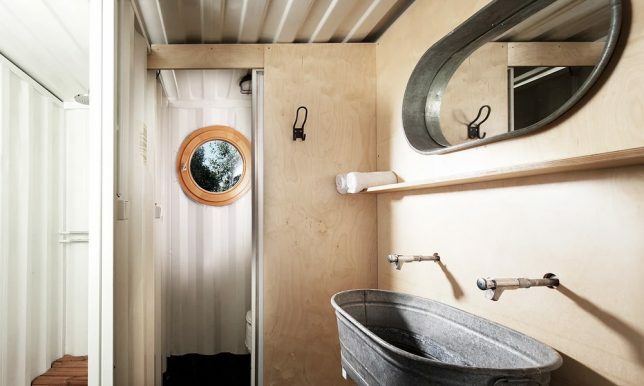 The hotel has its own built-in water reservoir for the showers and sinks, and utilizes waterless toilets, and the bedrooms are compact but warm and welcoming, fitted with bunk beds and lined with birch plywood. 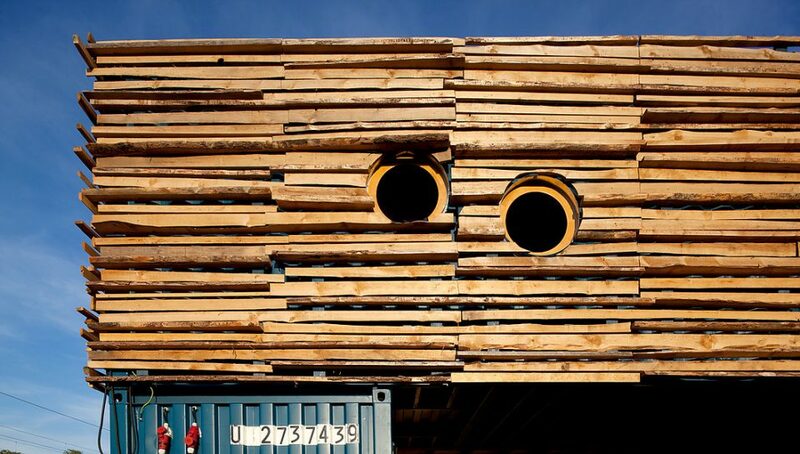 Artikul is known for producing sustainable structures, so it’s no surprise that they did something creative using recycled and natural materials. Barely any modification to the containers was necessary, preserving the ability to load them onto a truck. 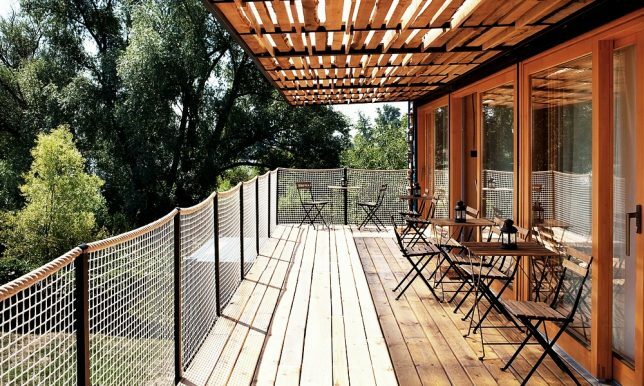 The top container is sheathed in reclaimed wood and features a terrace and awning so guests can hang out in the open air and enjoy the views.